Thinking of a trip to wine country? We recently spent a day doing some 'mystery shopping' at some vineyards and were reminded how ordinary a cellar door experience can occasionally be, especially for the unprepared. On a busy Saturday the tasting tables can be stacked two or three deep and on there's sometimes an uncomfortable shuffle milling about waiting for a free space. Busy pouring staff usually start at the top of the wine list and work their way down, pausing only to ask if you’re ready for the next wine. 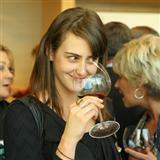 Tasters slug it down and take their confused palates, and wallets, off to the next cellar door. After two attempts we pulled out some VisitVineyards.com itineraries and did some quick research. At the next cellar door we tried another tack – it had great pinot noir and that’s what we asked for – to taste their pinot range, starting at their entry level wine and working up to to their best. Suddenly we had our pourer’s attention and two further bottles emerged from below the counter – a back vintage and the next vintage, which had just been bottled. It pays to do a little homework before you visit a cellar door. Find out what they do well and ask for it. Use the itineraries and vineyard listings on the VisitVineyards.com site - or look up their history in WinePros Archive - to get your tasting conversations started. Flash your VisitVineyards.com Membership card for special deals and to let them know you’re serious about wine, or want to find out more. Soon you'll be sampling their best, and they'll look after you well. Moving? Changing your email? Update your details so you don't miss out! Q1. Has the Global Financial Crisis (GFC) changed your wine buying habits? Q2. How is it affecting the price you pay?? Q3. How is it affecting the quantity of wine you buy? 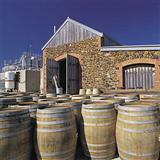 Discover the vineyards and cellar doors of McLaren Vale. Some are home to the world’s oldest collections of shiraz vines, thanks to the absence of the vine-killing bug called phylloxera that decimated France’s Rhone Valley in the 19th century. 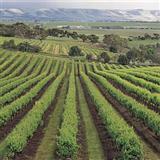 Learn more about wine production in McLaren Vale, the region's climate and history of viticulture. Read all you like, but you'll never really know a region until you've tasted it, and the best way to taste is at the cellar door. Why? The people involved in making the wine are on hand to tell you what makes their patch of earth so special and to explain how they create the best flavours and aromas in their wines. Plus they'll encourage you to try new things, and there's nothing more exciting than discovering a new variety or grape blend, especially those not yet in the bottle shops. Your palate gets in the groove, too; when we buy at cellar door we find we're much less likely to buy wines we later regret. 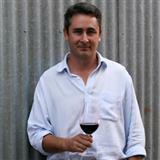 In 2004 a group of enterprising McLaren Vale winemakers launched ‘Cadenzia’. No, it's not a new grape variety but a project to restore grenache’s prominence among Australian wine drinkers. This itinerary explores some of the best 'project Cadenzia' participants in the region. Try out a few and tell us what you think. Take the high road to the Yarra Valley and enjoy some stunning views. This itinerary highlights some essential stops in one of Melbourne's closest wine regions. 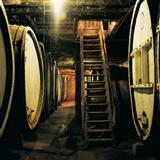 If you can't make it to the cellar doors then start exploring at your wine store. 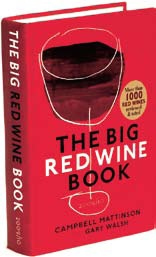 Campbell Mattinson and Gary Walsh have just released The Big Red Wine Book 2009/10, featuring this year's best reds in Australia. July has four great competitions: Join James Halliday at the dinner launch of his 2010 Australian Wine Companion, attend Tasmania Unbottled, win wine, plan weekends away or taste your way around an iconic wine region. Two first prize winners will each receive a half dozen bottles of Sangiovese Cabernet 2006 from Tilbrook Estate. Get some hands on (or is that lips on?) experience with this superb sangiovese blend from the French-influenced vineyard in the Adelaide Hills where their vineyard philosophy is "hand made by our hands". If you're planning on taking up the No Leave No Life campaign, then second prize will kickstart your destination list. 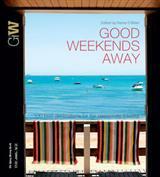 We've got three copies of Good Weekends Away edited by Kerrie O'Brien to give away and with 100 short breaks reviewed and rated, you'll soon be have a short list for your short breaks - or perhaps a slightly longer list for that long weekend. Third prize is the always popular Taste Food & Wine 2009 by Tyson Stelzer and Matthew Jukes with four copies on the prize shelf. Discover the winners of the Great Australian red challenge then settle in for some down to earth and wide-ranging wine information, for example: which wines will inspire your Latin streak, who represents the eighties glamrock era and what to drink when you start waving custard around. First prize: Kangarilla Road McLaren Vale produce expected and some unexpected wine varieties and this month Members could be sampling one of two half dozen mixed wines from this rising star of the area. The whites are fragrant and aromatic and the reds an elegant expression of the renowned region so make sure you enter now. When August arrives you could be tasting Kangarilla's core range including chardonnay, shiraz and cabernet sauvignon as well as their new varieties primitivo, sangiovese and viognier. Second prize is one of three copies of Australian WIne Vintages 2009 by Robin Bradley and Rob Geddes MW. This handy sized guide now in its 26th editiion is affectionately called "The Gold Book" by its many fans - not just for its good looks but the valuable contents. If you want wine ratings based on quality, pleasure and value for money (and who wouldn't?) this is guide for you. Third prize: Like to taste over 100 wines from Australia's other red centre - the Coonawarra - but can't make it to South Australia? Then win one of two double passes to the Coonawarra Wine Tasting Roadshow in your closest mainland capital city and you can meet the winemakers from vineyards large and small and taste your way around one of Australia's iconic wine regions. This promises to be a fabulous event. 3. Here's a fabulous MEMBERS-ONLY INVITATION - courtesy of the Luke Stringer and Joe Vargetto of the outstanding Oyster Restaurant in Little Bourke St, Melbourne, we have a double ticket to the launch of the 2010 Australian Wine Companion by James Halliday worth A$310 to give away to a keen VisitVineyards.com Member. 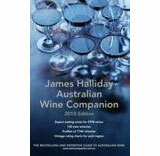 James Halliday will be there and will be signing copies of his indispensible Wine Companion, published for the third year by Hardie Grant. We went last year and it's a good night for wine lovers. Be quick - the dinner is on Monday 3rd August, so we will draw this prize this coming Friday 10th July at 9 am, to allow time for the winner to arrange their own travel (transport and accommodation not included). The draw is only three days away so don't delay. TO ENTER please click here to email us quoting your Membership number and simply telling us why you would like to attend . And if you are not a Member already, join now - with only 3 days before the draw, your chance of winning could be high! The fortunate Member will be notified before noon on Friday 10th July - so if you miss out there will still be time to purchase your seats from Oyster Little Bourke for this great occasion. Are you a June winner? We're Australia's wine travel guide. You can subscribe for free and enjoy unlimited access to suggested itineraries, tasting notes, the VisitVineyards.com forums, Winepros Archive of tasting notes dating back to 1991, and other great content across the website. Our winemaking partners are feeling particularly generous this month - it must be a bit of AusMas spirit. Plunkett Fowles Wines in the Strathbogie Ranges of Central Victoria have presents for all VisitVineyards.com Members when they buy a dozen case of wine. 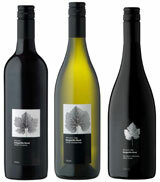 When you purchase one dozen of the 490m range of wines you'll receive a free 490m t-shirt; with a dozen Stone Dwellers wines you'll get a free dozen cleanskin chardonnay; and with a dozen of the Rule or Exception wines you'll receive a complimentary magnum of 2005 Reserve Shiraz, valued at $95. Merry July everybody! Boyntons Feathertop in the Alpine Valleys wine region of NE Victoria have a bonus with purchase offer too. Purchase any five bottles of wine and receive a sixth free of equal value. Members also receive free delivery within Australia. 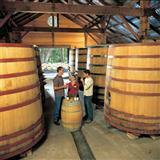 VisitVineyards.com Members can enjoy complimentary wine tasting at Delatite's Cellar Door in Mansfield, NE Victoria. 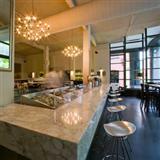 Afterwards, with any case purchased at cellar door, you will receive two bonus bottles of wine . In addition, Members can have their cases purchased freighted for free to Victoria, South Australia and New South Wales. VisitVineyards.com Members will receive a 10% discount off cellar door prices for normal wine purchases upon presentation of their Membership card at the famed Tahbilk in the Macedon Ranges, Victoria. Upon booking a night's Bed and Breakfast at Maygars Hill Cottage, situated at the Maygars Hill vineyard, NE Victoria. VisitVineyards.com Members will receive a complimentary bottle of Maygars Hill's trophy winning wine - your choice of vintages! Have you found a hidden gem that's just too good to keep to yourself? How about supporting their business so it's still there next time!? Let fellow subscribers know about your favourite events, places to stay, taste and dine on our new-look product pages. You can add your comments, read our recommendations and those of other wine travellers on the thousands of listings on the VisitVineyards.com website. Just search for the name on VisitVineyards.com using the keyword search, select the listing and add your comments. Contributors of the 20 best comments posted in July will each win a funky new tchillbag - the portable ice bucket and gift bag all in one - valued at A$14.50 plus postage. We look forward to reading your comments and reviews, so get posting and get your free tchillbag now - fill it with snow if you are heading for the slopes. The winner of our best cleanskin quickpoll comment in June is Mr T. Spawton , who replied: "They are the worst thing that has happened to the perceived quality of premium wine in Australia since the flagon. (Is) the whole system to pay for the packaging and give the wine away for free? It is more damaging to our image than Down Under - at least that has a label and if you look at what '2 buck chuck' has achieved it has not damaged California wines at all - it has created a new category. ... Hopefully the wine that has gone into cleanskins is not exported - it was not good enough to go into Bag in Box here or elsewhere for that matter." A groovy tchillbag to you, Mr Spawton - and as they are transparent you can easily see the label! Don't forget to fill in this month's quickpoll on wine and the GFC. We value your feedback and love your comments! 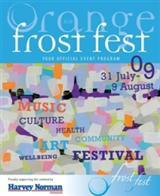 With the longest night behind us in Australia, we're well into winter and rather than hiding indoors the fine winemakers, chefs and musicians of Orange District in central NSW are opening their doors and welcoming the world to celebrate the coldest months at their annual Frost Fest . The festival kicks off on July 31st and runs for a week, so head to Orange and reserve yourself a cosy spot to enjoy the action. A unique photo exhibition called All You Can Eat opens in Childers, Queensland this month. Photographers Amy Carkeek and Nic Briais asked people to consume their favourite food and be photographed doing so, giving an interesting insight into Australian food culture. Visit a South Australian iconic region anytime in July. Coonawarra Cellar Dwellers showcase back vintage wines all month. Enjoy a rare chance to taste and buy aged wines, which are on offer at 14 cellar doors. Welcoming log fires will be roaring! Have some fun at the annual Olive Festival at Montalto on Victoria's Mornington Peninsula celebrating the olive harvest and produce of the olive tree on July 18 and 19. Also in Victoria, you can explore the delicious regional food and sensational cool climate wines from the Alpine Valleys at the Mountain Fresh Festival from July 24. Masterclasses, wine and beer tastings, cooking classes and themed dinners will be held across the region's cafes and restaurants. Yum! If you're putting on a wine or food event, running a wine course or have something you'd like our subscribers to know about, please tell us well in advance so we can include it in our calendar. More VisitVineyards.com events and experiences will be featuring on our calendar soon, too. 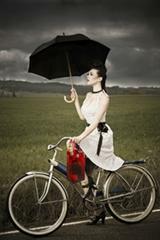 So enjoy our winter - especially if you are lucky enough to be receiving some of this drought-breaking rain (OK, Sydney's had enough) - and plan a trip to wine country soon. It's a great season to relax and unwind, and to meet a few wine and food makers at your (and their) leisure. Find out about the faces behind the labels and get out there! Make our Members an offer they can't refuse! Do you have a winery, restaurant, B & B, gourmet outlet, tour company or related business in one of our wine regions? Do you know someone who does? And do you (or they) want more visitors? If so, you might like to consider a VisitVineyards.com Partnership. There is no fee for businesses to become a VisitVineyards Partner and we will promote your business, products and services to our Members, our 21,000+ subscribers and to 30,000+ monthly website visitors. This is targeted, online advertising reaching thousands of wine and travel interested people, and best of all - especially in this economic climate - it's free. CLICK HERE to download the Partner Information Kit or contact our friendly Partner Manager, Sara Schwarz to find out more. Mobile: 0424 379 996 or Email sara@visitvineyards.com. You can forward this newsletter to them using the forward function below (not so we can track you but so the pictures stay in it!). 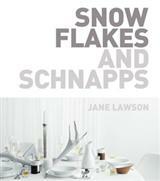 And to all our Members and subscribers, happy winter - and if you are getting them - holidays ahead. Know someone who may enjoy reading this newsletter or might like to become a Member? Please click here to forward a link to them. © Visit Vineyards® and Winepros Archive 2009 All rights reserved.